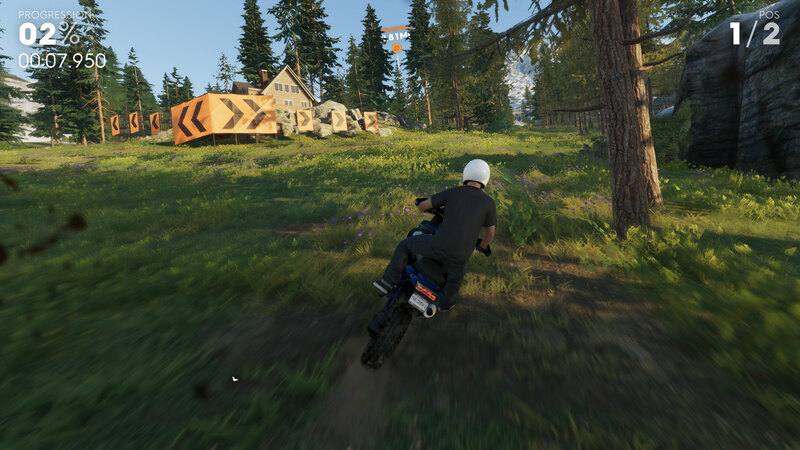 The 60fps cap is an odd inclusion for a game that's all about speed. The Crew 2 is a bit of a lackluster experience, as we noted in our review. There's fun to be had, but the writing and story need help, as do the multiplayer aspects. That same feeling of "this could be better" applies to the game engine in general. It's 2018 and many games have proven (repeatedly) that it's possible and even beneficial to run at higher framerates. "No," says The Crew 2, "you will be content with 60fps max." It was a problem in the original as well, and it's particularly irksome considering how many other games Ubisoft publishes where the framerate is unlocked. It's also unintentionally ironic for a game that's all about speed to put in a hard speed limit. Given that hard limit, performance testing for The Crew 2 is constrained. Rather than looking at what hardware runs the game best, it's more a question of what settings you should choose to hit the 60fps cap. After testing a collection of CPUs and GPUs, the good news is that most systems with a dedicated graphics card should be able to max out the framerate at 1080p, and higher spec PCs will be able to run 1440p at maximum quality, or 4k at high quality, and still hit the framerate cap. If you're looking to run at least 1080p medium quality, however, you'll need at least a GTX 970 or R9 380 or better graphics card. For the CPU, pretty much any Core i3 or Ryzen 3 or better processor will suffice. 60fps in that sense is the great equalizer. The Crew 2 does fine in the graphics department, with 13 settings you can tweak along with good resolution and aspect ratio support. Controller support is also good—you can play comfortably with a keyboard and mouse or with any controller, including steering wheels (though I can't actually vouch for that as I don't have any). The Crew 2 loses points for the lack of mod support, the always connected requirement, the framerate cap, and the inability to adjust the field of view unless you use three monitors (though do note that the game auto-adjusts FoV based on your resolution and is generally fine). One other item regarding framerates that I do want to mention is that falling below 20fps can seriously degrade the driving experience, and sub-10 fps becomes an awful mess. So even though I have some benchmark results for systems in those categories, ideally you'll want to stay in the 30-60 fps range. There's also the problem of microstutter, especially with vsync enabled. The game doesn't always maintain a perfect 60 fps, and when it falls just a bit short, you end up with a few frames at 30fps, which feels jittery and annoying. This is why the framerate cap is so damn frustrating. The engine can successfully deal with everything from 20 to 60 fps; why can't that same programming logic be applied to going beyond 60fps? This is a 'solved' probem by now, as numerous other games have demonstrated an ability to scale to arbitrarily high framerates. 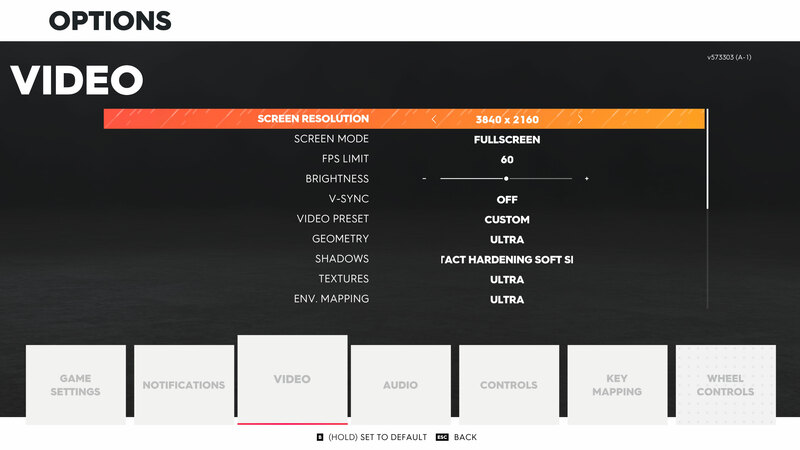 We have 144Hz and even 240Hz displays, and I'd love to see how The Crew 2 feels on such a setup. We've also had 120Hz and higher refresh rate LCD monitors for nearly a decade, and 120Hz CRTs before that. There's no good excuse for 60fps caps. But let's get to the settings and performance before I continue that rant. As our partner for these detailed performance analyses, MSI provided the hardware we needed to test The Crew 2 on a bunch of different AMD and Nvidia GPUs—see below for the full details. Thanks, MSI! The Crew 2 offers up 13 graphics settings, but as is often the case, what some of these do and how much they affect performance and visuals is harder to tell. 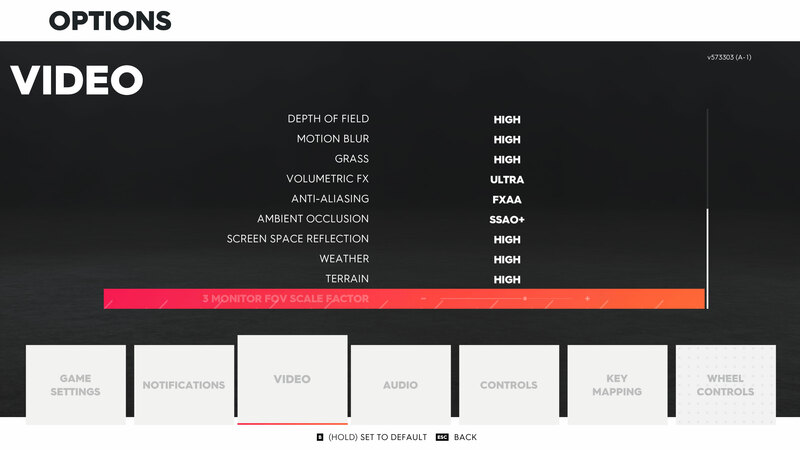 There are four presets (low, medium, high, ultra), plus a custom mode where you can increase a few settings above the 'ultra' level or drop a few settings below the 'low' level. I've run the 4k, 1440p, and 1080p tests with all settings at maximum quality, plus 1080p at the medium preset. The above gallery has 4k screenshots of each preset, along with maximum and minimum quality. There are also individual screenshots with every setting on max except for the setting in question, which is set to the minimum value. Finally, aspect ratio and automatic field of view scaling are shown for 16:9, 21:9, and 32:9. The auto-scaling works well for the most part, but it would be nice to have the option to tweak the setting. For the following estimates, I ran benchmarks using a GTX 1070 at 4k and max quality—the main difference from the ultra preset is that Shadows is set to Contact Hardening Soft Shadows and Ambient Occlusion is set to SBAO+. Performance increases are relative to the maximum setting, in each case dropping the individual setting to the minimum value. Note that the low setting starts bumping into the 60fps cap, and minimum quality is at the cap. The good news is that there are enough knobs to fiddle with that you can more than double your performance going from maximum quality to minimum quality—though image quality obviously suffers. Outside of Intel's integrated solutions like HD Graphics 630, it's usually possible to hit 60fps via a combination of resolution and settings. Here's a look at the individual settings. Geometry: Adjusts the number of polygons uses for rendering objects. The effect can be seen most clearly on the trees in the above gallery—most other aspects of the rendering don't seem to change much. You can get a three percent increase in framerates using the low setting. Shadows: This affects the quality of soft shadows, as well as the distance for detailed shadows. There's a substantial difference in appearance between Contact Hardening Soft Shadows and the ultra setting, but performance doesn't change much. Turning all shadows off can net you a seven percent increase in performance, but I recommend using at least the low setting (a five percent increase). Textures: Sets the size (quality) of the textures used in the game, with a negligible impact on performance. Framerates improve by just one percent going from ultra to low, and even 2GB cards don't seem to have difficulties with maximum quality textures—resolution is a far bigger factor on VRAM use. Environment Mapping: Normally this refers to a technique for making reflections look better, but I can't really see a difference in the screenshots I've gathered. You can boost performance by two percent by using the low setting, which might explain the lack of visual differences. Depth of Field: An artistic blur effect that takes place mostly in cutscenes as far as I can tell. Turning this off has no noticeable effect on performance when you're actually playing The Crew 2. 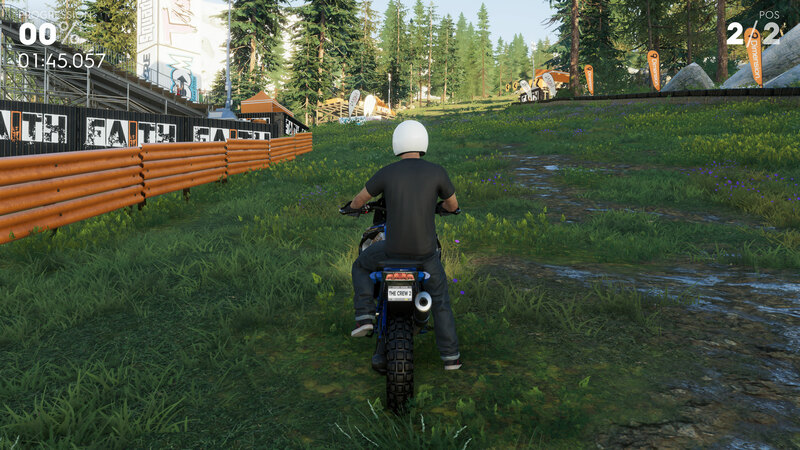 Grass: Adjusts the amount of procedurally generated grass, which has a minor effect on the look of the ground in forests but doesn't affect performance much. Dropping to low only yields a two percent increase in framerates. Volumetric FX: Adjusts the quality of volumetric fog, including things like light shafts. This is one of the three major settings that impacts performance, and turning it off improves performance by 13 percent, and depending on the scene the visual difference is often minimal. This is a good one to turn down if you're looking to improve framerates. Anti-Aliasing: Sets the AA mode to either off or FXAA (Fast approXimate Anti-Aliasing). FXAA is a post processing filter that attempts to remove jaggies, but it's only partially successful. Turning AA off AA gives a three percent improvement. Ambient Occlusion: AO is a technique for rendering the way shadows/light appear on surfaces. It has a relatively subtle effect and turning it off (vs. SBAO+) gives a substantial 13 percent increase in performance. Screen Space Reflection: This is the biggest factor in performance, and it makes reflections look better. Calculating reflections (from glossy vehicle surfaces, water on the ground, windows on buildings, etc.) can be very computationally expensive, with a relatively minor impact on the actual appearance of the game world. Disabling SSR can improve performance by 21 percent. Weather: Adjusts the degree of weather effects, supposedly. This is hard to capture in a benchmark, but heavy rain/snow/fog can certainly reduce framerates. However, using the in-game photo tool (where you can apply weather effects), there doesn't appear to be a performance difference between the low and high settings—I measured a two percent difference, which is within the margin of error. 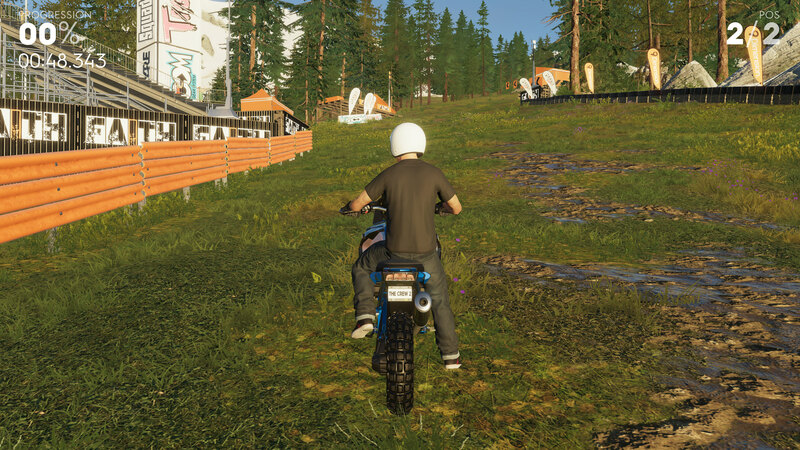 Terrain: Adjusts the level of terrain detail, with a very subtle effect on appearance (there appears to be a bit more water puddles in the screenshots, for example). Turning this to low gives a small three percent increase in performance. Cumulatively, all the settings stack as expected, providing for up to double the framerate at minimum vs. maximum quality. Turning down Volumetric FX, AO, and SSR to minimum for example gives a 55 percent boost to performance. 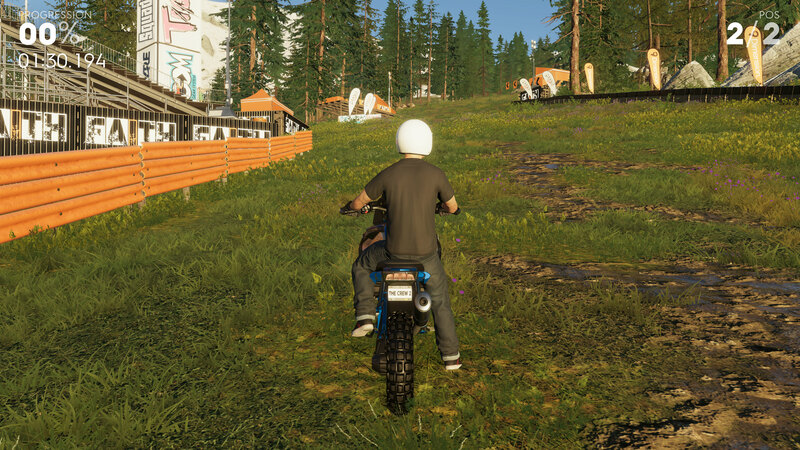 The minimum official minimum requirements to run The Crew 2 at 1080p using the low preset at 30fps or more are pretty tame. It will run on Windows 7 SP1, Windows 8.1, and Windows 10 (64-bit versions only). For the CPU, you need an Intel Core i5-2400s (2.5GHz) or better, an AMD FX-6100 (3.3GHz) or better, or equivalent hardware. You also need 8GB of system memory. The biggest factor as usual is the graphics card, and Ubisoft lists an Nvidia GeForce GTX 660 or AMD HD 7870 as the minimum. Both of those have 2GB VRAM and with DirectX 11 Shader Model 5.0 support. The recommended specs are for running The Crew 2 at 1080p using the high preset, with a 60fps framerate. You'll want an Intel Core i5-4690k (3.5GHz) or AMD Ryzen 5 1600 (3.2GHz) or equivalent better, along with an Nvidia GeForce GTX 1060 (6GB) or GTX 970 (4GB), or AMD RX 470 (8GB) or better. As we'll see in a moment, you can probably go lower on the CPU if you have a faster GPU, and it's possible to hit 60fps even at 4k with the high preset if you have the right hardware. Note that The Crew 2 also requires your CPU have SSE4 instructions (first seen in 2006), and AVX instructions (introduced in 2011) may also be used. MSI provided all the hardware for this testing, consisting of primarily Gaming/Gaming X graphics cards and motherboards. The Gaming X cards are designed to be fast but quiet, though the RX Vega cards are Air Boost models and the RX 560 is an Aero model. I gave these a slight overclock to level the playing field, so all the cards represent factory OC models. My main test system uses MSI's Z370 Gaming Pro Carbon AC with a Core i7-8700K as the primary processor, and 16GB of DDR4-3200 CL14 memory from G.Skill. I've moved testing of Ryzen processors to the new MSI X470 Gaming M7 AC, also with DDR4-3200 CL14 RAM, and switched to the second generation Ryzen CPUs. The game is run from a Samsung 860 Evo 4TB SATA SSD for these tests, except on the laptops where I've used their HDD storage. I’m using the latest Nvidia 398.36 and AMD 18.6.1 drivers. Nvidia lists its drivers as Game Ready for The Crew 2, which makes sense as it's a promotional title for Nvidia GPUs. AMD makes no mention of The Crew 2 in its release notes, but performance isn't a problem as we'll see shortly. There's no built-in benchmark, and the 60fps cap obviously poses a limit. I've tested starting from 4k at max and moving down in resolution until the GPUs hit the framerate cap. While there may appear to be minor differences in performance (eg, in minimum framerates), the focus is more on the average fps here. GPUs that have clearly hit the framerate cap are shown in grey, with 60/60 for the average and minimum. For the benchmark, I use the Portfoliage Rally Raid event, since it's in a more demanding forest location and sets the time and weather conditions to the same defaults every time—otherwise, weather and time of day could affect the consistency of benchmark results. 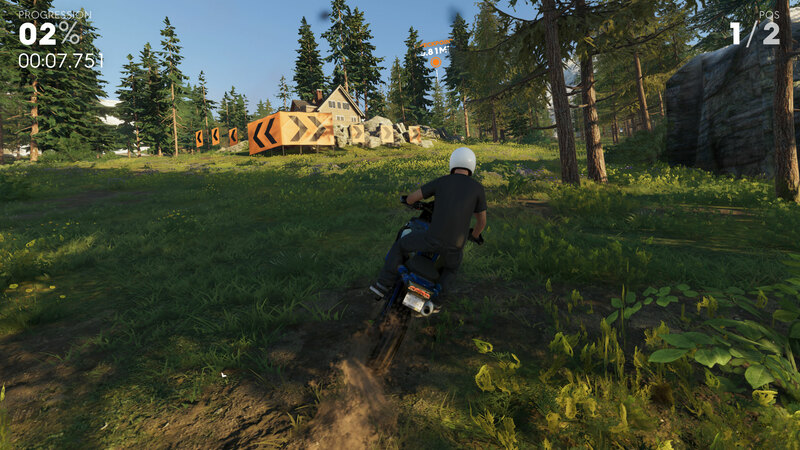 The Crew 2 is at its most demanding in races where eight (or more) vehicles are present on the screen, but repeatability becomes an issue. I'm starting at the top this time, for reasons that will become obvious in a moment. Running 4k at maximum quality and 60fps proves to be too much for any current graphics card, though the upcoming GTX 1180 will likely change that. The 1080 Ti comes close, and in many areas of the game it will hit 60fps, but everything else falls well short of that mark. Interestingly, despite being an Nvidia TWIMTBP game, AMD cards in general perform better than their Nvidia counterparts—the Vega 64 and Vega 56 beat the GTX 1080 and 1070, and the RX 580 8GB and 570 4GB beat the GTX 1060 6GB and 3GB, respectively. What if you run 4k resolution at lower quality settings? The 1080 Ti hits 60fps using the high preset, while the Vega cards and the GTX 1080 need to run at the low preset to get a consistent 60fps (medium averages about 46-50 fps on those cards). The GTX 1070 meanwhile needs to drop to minimum quality to hit 60fps, at which point you're better off dropping the resolution. Dropping to 1440p max quality brings the framerate cap into full effect on the faster GPUs. The 1080 Ti and 1080, along with Vega 64 and 56, all basically reach a steady 60fps. There are still occasional dropped frames, which is why the minimums aren't quite at 60, but declaring a victor here is splitting hairs. Moving down the charts, the 580 and 570 continue to lead the 1060 models, and older generation cards like the 970 and R9 390 continue to perform well. If you want to lower the quality settings, the 580, 570, both 1060 cards, the R9 390, and the GTX 980 and 970 can all reach 60fps, but it requires a mix of minimum to low/medium quality to get there. At 1080p and maximum quality, nearly all the midrange and above GPUs reach the framerate cap—running at the ultra preset will get you there with the 1060 3GB and above, while the 970 requires moving to the high preset. The lower part of the chart with the budget GPUs shows everything running at least 30fps, including the older GTX 770, which also means those cards can hit 60fps at 1080p and minimum to medium quality. The Ryzen 5 2400G's integrated Vega 11 graphics still struggles, however. Last and least, at 1080p medium quality (and 720p min on IGP), nearly all the GPUs hit 60fps, and it's only budget cards like the 1050 Ti and RX 560 and below that come up just a bit short. AMD's R9 380 still does quite well, besting the GTX 770, and that means HD 7950 owners should also be able to reach similar framerates. Looking at the integrated graphics solutions, the Vega 11 almost manages 30fps at 1080p medium, and it comes close to 60fps at 720p minimum, nearly triple the performance of Intel's HD Graphics 630. The reason the Vega 11 falls short is a bit perplexing, however. If you watch the video that shows the real-time framerates (with some smoothing going on), you'll see large dips from 60fps down to the sub-30 range on the Vega 11. These occur on a regular basis, with no obvious reason for the drops, and the dips happen in other games as well. I had hoped newer drivers would remedy the situation over time, but AMD's Ryzen APUs are on a quarterly driver update schedule and don't seem to be getting as much TLC as they need. The dips are severe enough to impede gameplay when they occur, which is even more frustrating. For CPU testing, I used the GTX 1080 Ti on all the processors. This is to try and show the maximum difference in performance you're likely to see from the various CPUs—running with a slower GPU would further reduce the performance gap. It turns out that The Crew 2 is basically a non-event when it comes to CPU requirements, thanks once again to the framerate cap. At 1440p, every CPU I tested, from a lowly 2-core/4-thread Core i3-7100 to the 8-core/16-thread Ryzen 7 2700X, averages 60fps. There are minor variances in the minimum fps, but they're not really a concern—just one or two dropped/delayed frames over the course of a 45 second benchmark run. At 1080p, the differences become even more meaningless, so I didn't bother with additional charts—everything continues to hit 60fps. Moving to 4k maximum quality does show some separation, with the Ryzen 5 2400G coming in last (perhaps thanks to the x8 PCIe connection), but we're still talking about less than a five percent difference in performance. 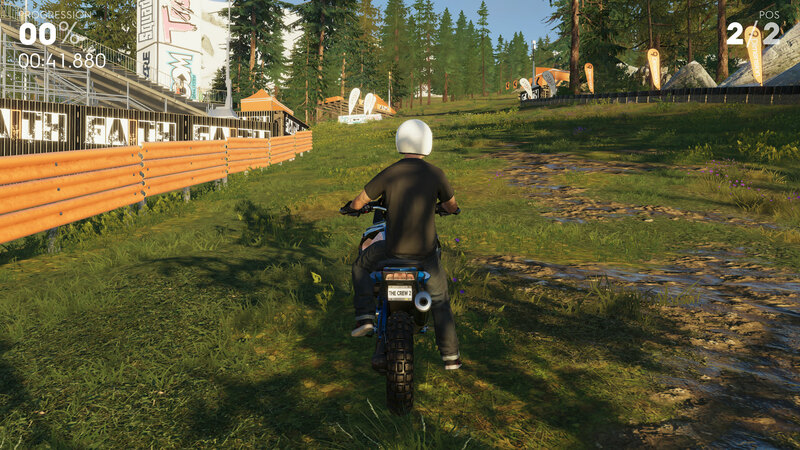 Unless you have a very old/slow CPU, chances are it will be sufficient to run The Crew 2. Notebook performance runs into similar limitations as CPU testing, since two of the notebooks have 1080p displays—and the laptop with a 4k display is the GS63VR, which has the weakest GPU. Yeah. Here's what it looks like, with the desktop 1080/1070/1060 included as reference points. All the current notebooks hit 60fps at 1080p medium, so I won't waste time discussing that chart. At 1080p max, most of the systems continue to come close to the framerate cap, with the GS63VR being the only one that falls short. If you have a relatively recent gaming notebook, like anything with a GTX 970M or faster, you should be fine. Thanks once again to MSI for providing the hardware for testing. 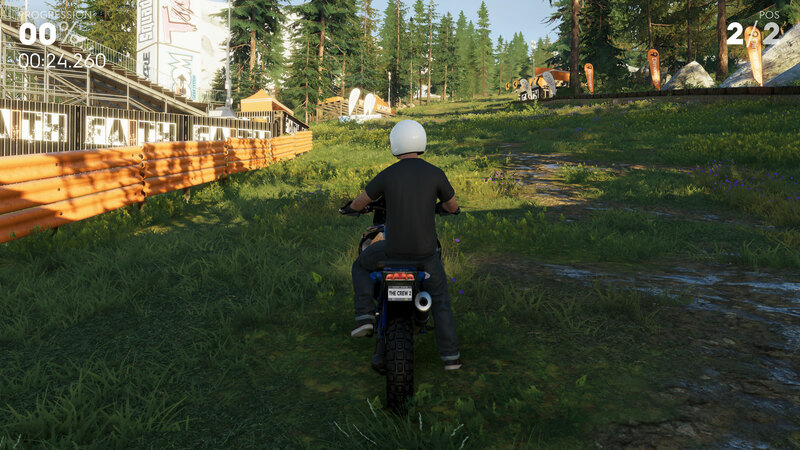 These results were collected in early July 2018, using the initial version of the game with the latest graphics drivers available at the time (Nvidia 398.36 and AMD 18.6.1). 60fps ends up leveling the playing field, which might seem like a good thing. The problem is that many PCs have GPUs that could hit higher framerates if the cap were removed, and smoothing out the driving experience by allowing up to 144fps for example would be a great benefit to users with our favorite 1440p 144Hz G-Sync and FreeSync monitors. I'd love to see a patch (either official or something from the community) remove the limit, but that never happened with the original game so I'm not counting on it here. Given the other complaints with the game, I suspect Ivory Tower has bigger fish to fry. This isn't the first and it won't be the last game with a 60fps framerate cap, but I really wish developers, especially for PC games, would consider the target audience in greater detail. Variable refresh rate monitors are growing in popularity and coming down in price, and high refresh rate displays have been available for years, with more coming. Add in the potential for future technology and locking a game to a relatively low framerate is a shortsighted decision. Please, take the time to architect for higher framerates. It's not an artistic choice, and it's not a required design element. By all means, give players the option to enable a 60fps cap if they prefer the way that feels, but for those of us with high-end PCs, let us run with unlocked framerates.